Florida has always been among the states that sought to curtail what it felt were “frivolous” medical malpractice lawsuits aimed at doctors. In the process, it passed some very bad laws, including damage caps, that were later found to be unconstitutional. 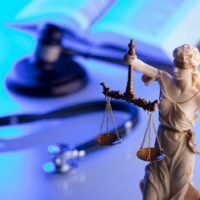 While damage caps that limited the amount of money a patient or a patient’s estate were allowed to recover have been repealed or struck down by the courts, the process of filing a medical malpractice lawsuit in Florida remains complicated. If a plaintiff wishes to file a medical malpractice lawsuit, they must obtain the opinion of at a medical expert who can attest that the defendant’s conduct rises to the standard of medical malpractice. In one particular lawsuit, this created a serious problem for the plaintiffs. In a wrongful death lawsuit that involved a young woman who died after giving birth to a stillborn child, the plaintiffs called on the aid of a Texas obstetrician and gynecologist. The defense attorneys challenged the credibility of the doctor and demanded more information on her background and credentials. The doctor in question had recently gone to law school which raised eyebrows on the defense team. There was a question as to whether or not the doctor was “duly and regularly” engaged in the practice of medicine as the law requires. There was also some question as to whether or not the plaintiffs intentionally hid information concerning the doctor’s background. Based on the lack of information surrounding the doctor and questions concerning her credibility, the case was dismissed by the circuit court judge. The judge ruled that the doctor did not meet the legal criteria to form an expert opinion. The judge also found that the lawyers representing the victim’s estate had not been forthcoming with key information during the discovery process. The suit was appealed all the way to the Florida Supreme Court, which reversed the decision of the lower courts. The Supreme Court found that the doctor who was called upon as an expert witness did, in fact, have the qualifications necessary to offer expert testimony in the case. In fact, she had spent 30 years as an OB-GYN in the practice of both relevant forms of medicine. Further, she had spent time as the chief of the OB-GYN department at a large medical center and was the chief of staff at a women’s hospital. The Supreme Court, in a 4-3 vote, overruled the decisions of the lower courts and allowed the doctor to be presented as an expert witness in this case. If you’ve been injured by a doctor’s negligence, give the Tampa medical malpractice attorneys at the Palmer Law Firm, P.A. a call and we will help you recover damages.